We’ve spoken about a few technological breakthroughs over the last few weeks, including Dyson’s robotic vacuum cleaner. However, we were truly amazed by something that came to light back in spring when Japanese car manufacturers Nissan unveiled a prototype vehicle that was capable of cleaning itself! It isn’t as in-depth as something like our own in-situ curtain cleaning services here at Apple Clean for example, but it would certainly tick the boxes for efficiency and practicality. So what does it involve? A special layer of paint, known as super-hydrophobic Ultra-Ever Dry, is what gives this self-cleaning car its ability to stay water and oil resistant. 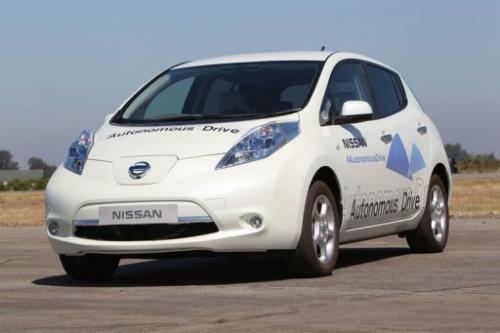 Nissan released a statement a couple of months back about the vehicle and its distinctive characteristic. “By creating a protective layer of air between the pain and the environment, it effectively stops standing water and road spray from creating dirty marks on the car’s surface” they said in their statement. Nissan have said that they are encouraged by the functionality of the paint, as it has “responded well” to harsh weather conditions including flooded roads, snow, sleet and rain. It is still being tested on the Nissan Note and the carmakers hop to continue testing it at their Technical Centre in Europe. At this stage, the paint is only being used on vehicles and isn’t being sold separately. However, Nissan have said that they may consider selling the paint as an aftermarket product in the future. If you require domestic or commercial curtain cleaning services for your property in the South East, get in touch with Apple Clean today. Our skilled operatives will carry out the entire cleaning process for you, leaving your property in outstanding shape once again.